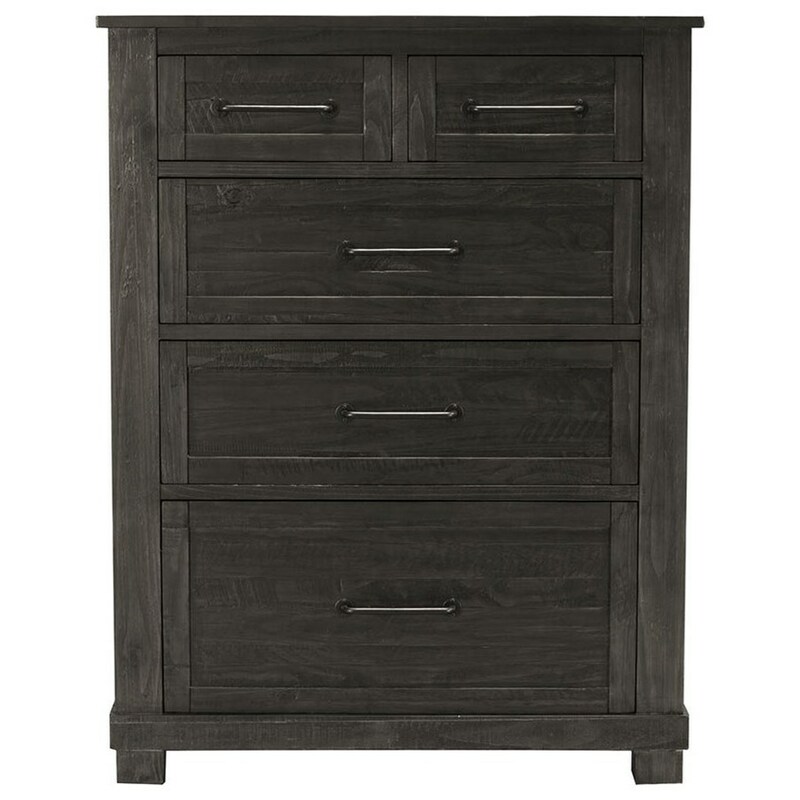 Rustic style and charm will be yours with this chest of drawers. The drawers at the top are felt-lined and increase in depth as they get closer to the base of the piece. Rustic themed hardware completes the look with an early-country charm. The Sun Valley Chest at Ruby Gordon Home in the Rochester, Henrietta, Greece, Monroe County, New York area. Product availability may vary. Contact us for the most current availability on this product. Storage 5 Drawers. Pull out hangers on either side of chest at top.